Things to see and do in central Corsica, including exploring the mountain town of Corte, once the island's capital and now a thriving university town. 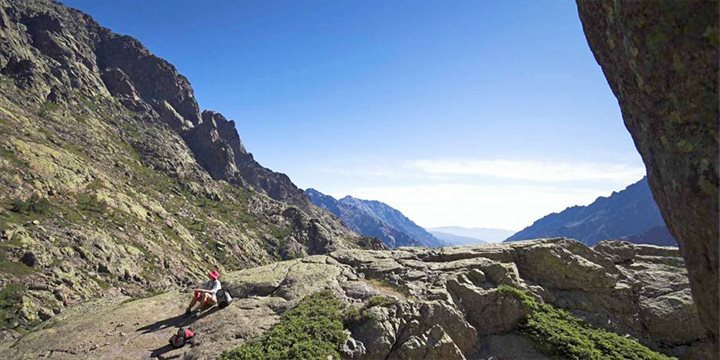 The city of Corte (400m) is surrounded by the highest mountains and some of the most spectacular scenery in Corsica. Dominated by the Citadel perched on its rocky outcrop (the best view of it is from the Belvédère, the platform situated above the town on a pinnacle of rocks), it lies at the mouth of the Restonica and Tavignano valleys, both of which have stunning scenery and fantastic walks. The road in the Restonica valley runs alongside the river which affords many bathing and picnic spots and for the more energetic, there is a two hour hike up to the mountain top Lac de Melo. A further one hour will take you to the Lac de Capitello. It is interesting to wander around the old parts of the town, which are steeped in history, and marked with bullet holes and such like from the vital role the town played in Corsica's many struggles for freedom. 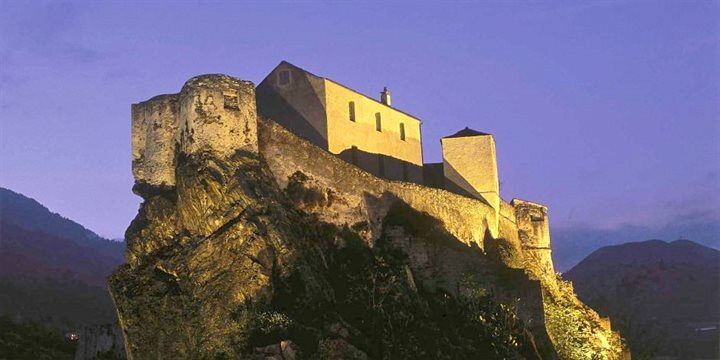 The museum of Corsican History opened in July 1997 and is housed in the old Citadel. The remote and now effectively abandoned ski resort of "Altore 2000" lies at the end of the road leading west through the Forêt de Carrozzica at the northern foot of Monte Cinto, but is an excellent place to start a testing walk along a stretch of the GR20 that takes in Corsica's third highest peak, Paglia Orba (2,525m) and which offers, arguably, some of the best views on the whole of the island. On the way to Altore, there is the Genoese bridge at Asco, which provides a peaceful spot to bathe in the river and there are many picturesque picnic spots within a short walk. On the road up to Asco is the Village des Tortues which is home to the sanctuary for the native Hermann's Tortoise - a species peculiar to the island and, thanks to this initiative, now beginning to become re-established in the wild. Leading south out of Corte, the N193 begins to wind a little more tortuously, reflecting the increasingly more dramatic scenery, and passes through the most sparsely populated region of the island. Approximately 30km south of Corte, the road reaches the small settlement of Vizzavona where the famous GR20 crosses the road, and which provides an ideal opportunity for walkers to experience a manageable one hour walk along part of the route to the picturesque waterfalls of the Cascade des Anglais. The villages of Venaco, Vivario and Bocognano are all typically "Corsican", but acknowledge the benefit of passing hikers, and so each has at least one bar/restaurant that caters for those passing through. The Castagniccia covers roughly 100km² extending from the River Golo in the north as far as the River Tavignano in the south and the central mountains to the west. It is famous for the herds of pigs that roam its lush countryside and takes its name from the dense forests of chestnut trees (castagna). Many of the beautiful grey-green and silver schist-roofed hamlets that are sprinkled on ridges in the area lie virtually abandoned or derelict these days but the region is an explorer's paradise, especially in autumn when the valleys are carpeted in gold and russet. Many of the inland villages boast views over the Tuscan islands to the Alpes on the mainland on clear days and it is well worth taking the car and meandering around the isolated hamlets. The villages are linked by dozens of footpaths (the old mule tracks), mostly well marked and signposted with wooden signposts, and keen walkers should not miss the hike up Mont San Pedrone, the highest peak of the Castagniccia. Heading west from Corte through the Deux-Sorru and Deux-Sevi regions of the island, presents a rather challenging, but definitely rewarding, drive, along the D84 towards Calacuccia. The stretch from Castirla southwards follows the route of the 19th century road that clings to the side of the vertiginous ravine of the Golo River, threading through the Laricio Pine forest of the Valdo-Niellu. There is an excellent walk to the Lac di Ninu at the foot of Monte Tozzu and the Cascade Radule. The road then passes over the Col de Vergio, through the Forêt d'Aitone, in which there are thousands of Laricio Pines, some over 50m tall. 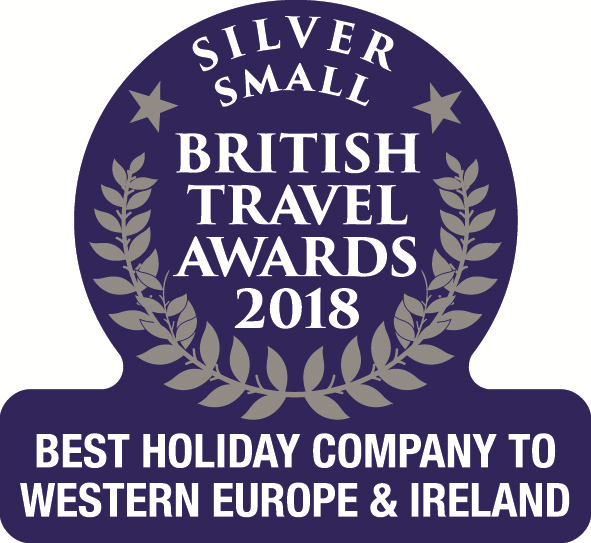 The remoteness of this area of the island has helped preserve some of the rarest forms of wildlife, including wild boar, eagles, red kite, the Corsican nuthatch and the, rarely seen, Corsican savage cat, the Gjhattu Volpe. There are several walks marked from the road and numerous rock pools for bathing (look out for the signs for piscine naturelle). Accessible from anywhere in La Balagne, the Tartagine Forest is a fantastic area of wild countryside in Corsica's National Park region. Escape to the mountains and sit by snow fed rivers rushing over granite boulders surrounded by pine trees. Your route takes you through Speloncato, via the old chestnut woods of the Guinssani, where you can stop at the memorable Genoese church, and admire the panoramic view of the valley. 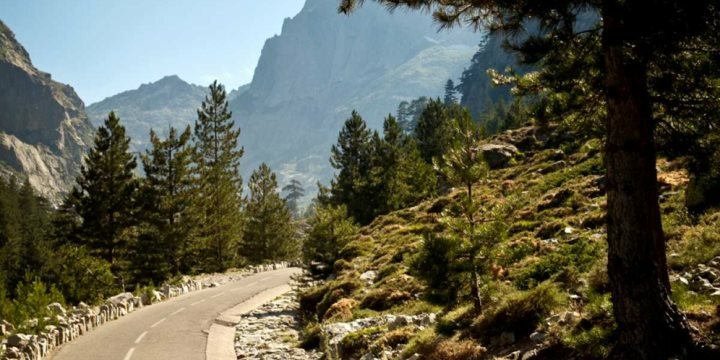 As the road is winding and narrow, so the trip will take you longer than expected from the map, so either take a picnic (there are few other visitors) or visit one of the local Auberges in Olmi Cappella, Pioggiola or on the Col de Battaglia. The Restonica Valley is probably one of the most beautiful and dramatic areas in Corsica, with its glacial gorges carved into the granite cliffs, which are covered in verdant pine forests. The valley takes its name from the Restonica River, which flows through the cliffs and gorges to the many pools and lakes, dotted around and about, making this a popular place to walk and picnic. The two most well known lakes Lac de Melo and the spectacular Lac de Capitello are accessible by foot via a rather strenuous and in some places steep path. Aullène is now a relatively remote village of the southern mountains among magnificent scenery. It has fewer than 200 permanent inhabitants today, but once it was a place of importance before any of the modern, faster roads by the coast were built, the only route from Ajaccio to Porto Vecchio went through here. Surrounded by chestnut and pine forests, it is a splendid centre for exploring the mountains. The village of Zonza is at a meeting point of mountain roads. With its old stone houses and narrow streets, it is a true mountain village. The surrounding countryside is diverse and fascinating; the majestic Col de Bavella, drawn and painted by Edward Lear and endlessly photographed since, is nearby. This area is particularly suitable for those who want to do some walking without being too ambitious, and many easier routes are waymarked. The Spelunca Gorge spans 2km between the villages of Ota and Evisa and is a formidable sight with its bare granite walls. 1000m high in places it plunges into the green torrent of the confluence of rivers Porto, Tavulella, Onca, Campi and Aitone. The most dramatic views are seen from the road but the valleys and riverbanks are best explored on foot. Evisa is set in lush chestnut forests on the eastern side of the gorge and due to its attraction for walkers has several lunch stops, ranging from modest pizzerias to gastronomic offerings. Vico is one of the remoter outposts of Corsica and crouches in the mountains 15km northeast of Sagone. To the north, Col de Sevi provides fine views across the mountains, or strike east and visit the thermal springs at Guagno-les-bains. The more adventurous can continue further along this way to the hamlets of Soccia and Orto perched on a ledge in front of the crags of Monte St Eliseo. From Vico, the D1 travels south following the Rivière Liamone for 7km. The Gorge is a gloriously remote landscape of sweeping valleys shrouded in chestnut trees and framed by shadowy ridges covered in patches of deep maquis. Wild pigs roam freely until the village of Arbori, an exquisite collection of russet buildings strung out on a ledge overhanging the valley. Don't miss the convent of St François, a great white building encircled by vivid green woods and gardens. Continue south and you arrive at the wine producing Cinarca region. Walkers should not miss the hike to the Lac de Creno.